The Live Collage project has come out of my ongoing personal and artistic engagement with the physical, cultural and social fabric of x-church since Process(ion) in 2007. Initially I had engaged sculpturally with the contents of the then relatively empty church, but as time has passed the boundary between my artistic activities at the church and the educational workshops that I have designed and run there has become increasingly porous and I have reached a point where working with people has become as important to me as working with objects and images. 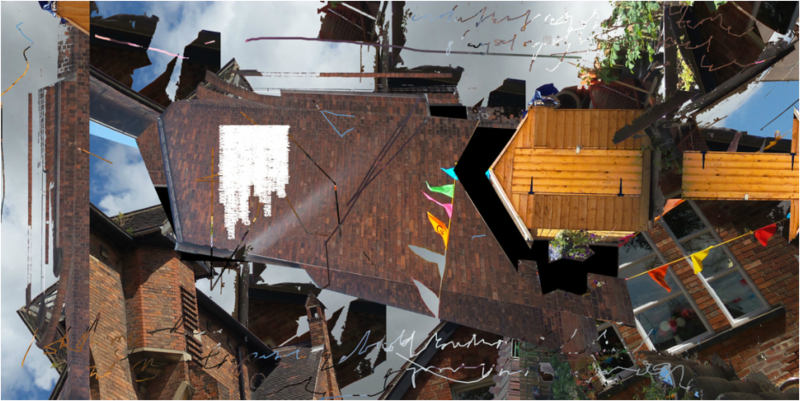 These collaborative digital collages, either undertaken on site or remotely via Skype have allowed us to explore representations of ourselves, of each other and of the building we use in order to deepen our understanding of all of them. Work is constantly recycled and reprocessed. Ownership becomes ephemeral and transient, but this doesn’t matter, as we all own all of it.